During submissions in the 19th Amendment Bill determination hearing today (April 1), the Supreme Court judgement in the case of Rajapaksa vs. Kularatne was shown to the Supreme Court by Constitutional lawyer and TNA Member of Parliament M. A. Sumanthiran, where former Minister Basil Rajapaksa, brother of former President Mahinda Rajapaksa was found by court to have engaged in corrupt practice at a by-election for Mulkirigala Seat held on 12/09/1987. Further taking up of submissions on the Bill is due to take place in the Supreme Court for a second day, tomorrow (April 2) as well before Chief Justice K. Sripavan, Justice Chandra Ekanayake and Justice Priyasath Dep. Several citizens contacted by Colombo Telegraph after the Basil Rajapaksa case was highlighted and asked their views on the matter, pointed out that it was unacceptable that despite the existence of this judgement publicly reported in Sri Lanka Law Report Volume 2 of 1988 recognizing corruption committed by Basil Rajapaksa, President Rajapaksa appointed this very same brother to head the entire economy. Many who were contacted, said they earlier supported Rajapaksa at the last Presidential election without knowing the unprecedented corruption level that has now been exposed after the media gained more freedom, with the fall of the Rajapaksa regime. They said that this highlights the need to ensure that whoever the president should not be able to take abusive or corrupt decisions without checks and balances, as they now realize Rajapaksa did. “The 19th Amendment Bill contains many provisions aimed to limit the presidential powers to prevent dictatorship and nepotism, bring proper accountability and checks on corruption and ensure that the judiciary and civil service doesn’t continue to be politicized. Main political parties (UNP and SLFP) decided to put aside differences and come together to form a national government, to sort out the problems caused by the Rajapaksa regime.” a constitutional lawyer told Colombo Telegraph. “This includes restoring (through 19th Amendment), the checks and balances like under the 17th Amendment that was controversially repealed by the Rajapaksa regime by 18th Amendment to consolidate a monopoly of power in the hands of then President Mahinda Rajapaksa.” the lawyer pointed out. 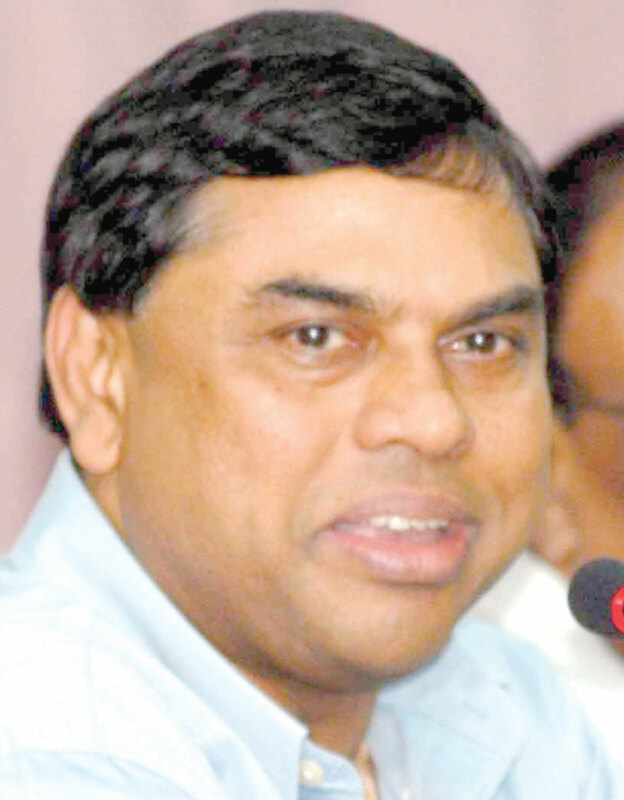 Basil Rajapaksa who fled the country soon after the Rajapaksa regime was ousted through the January 8 election, is now due to be questioned by police on serious allegations of massive corruption after common opposition candidate Maithripala Sirisena was elected president and Ranil Wickremesinghe was made prime minister. Lets catch him on recent issues. No point digging into the past. don’t think so ,History is a vital part of the present and it’s repeating , in-order to get the full picture of this jig-so puzzle we need to scrutinize the whole saga . can any one enlighten me about MR’s murder case in MUlkirigala , wasn’t he accused of killing a voter or two ? hadn’t he got acquitted from the murder charges due to lack of evidence ? it had been reported that MR was hiding behind a Morris Minor car and shooting the person , perhaps CT can provide more details on the subject ! I dare say looking back the way he handled the war and post war issues, he could easily be a murderer the type of high killers now spending in prions today. See, if you make mistakes, you should also be able to discuss about what circumstances cause dthem to be have gone wrong … then only educated masses would see it right, but EXpresident has not yet uttered a single word against a large number of issues (pitty to huge deals) about which charges and accusations are publicly being made today. Be it with Srilanken airlines or others it is the same. Alone the samll issure among them not holding records on VEHICLES registered under his Secretariat is not to be found. This is the BITTE reality of his administration. If he cant keep his under his control, how could he control the entire country is the question being raised by the many. went missing at the ASPs Office, during the time of Ranil as PM? Is this a true story as was revealed in a write up after a visit to Hambantota by an ex-srilankan? We cannot ignore the past. Rajapakse family’s past and present highlights their true charcters. Rajapakse was behind a terrorist organization in 1989 and was against Srilanka armed forces. He went illegally to UN against the Nation. Gotapaya was responsible for large number of massacres and disappearances in the past and present. He is the one who sent Karuna with illegal passport. Basil is a well known corrupt and large number of LTTE members left Srilanka after paying millions to him and Douglas. These criminals should not be allowed to remain in politics and punished under law. Really are you afraid UNP sins will come to light too. all political corruptions should be exposed as a deterrent to all politicians past present and the future.After these individuals are elected to serve the community and the country by the people and they have every right to know when they veer in the wrong direction. Bottom line is that the country has lost enormous amount of money arising from these mischief makers whilst the majority of the citizens of this country are suffering with very limited income. But his true character was hidden by his satakaya. He and his satakaya were inseparable like twins joined at the hips until Ali Baba and his 40 thieves were kicked out. MR had murdered a person and was in the remand prison at Welikada.The only witness to this was murdered and as a result he was released.This was disclosed to me by a prison official.The pattern of thuggish,murderous and stealing behavior has been there from the early days of their politics. Does MR know ALL those civilians who were killed in the North? NO ! does that make him innocent? more like “in no sense”…. As I understand, the statute of limitation in Srilanka , for crimes other than murder is 20 years. So unfortunately the 15 percenter may not be tried and brought to justice on that issue. However, for the criminal acts of fraud , bribery and get rich quick schemes by looting the country for the past 10 years , he must be brought to justice. If the SL justice system lets these modern day carpetbaggers go unpunished, It would be a mockery of the avearge citizens who voted for a change. Something that I find intriguing about Basil is why it was reported that he is now residing in Vietnam. If this is true is he not a green card holder in the USA? If he is then is it that he is somehow afraid of living in the USA? Whatever the reason is I suspect it has to do with the giant level of corruption he indulged in. This is the most uneducated of the Rajapakshe siblings. He is rumored to not have passed his O’levels. WHY he is supposed to be in Vietnam is coz Vietnam is a country that has NO extradition treaty with the USA…so he cannot be extradited to USA and then to SL..
Mr Weerawansa seems hell bent on making him as a scape goat for all the wrongs of the MR regime, let see what he has to say about Weera when he is here. He doesn’t seem to think forgery is a crime at all. My view UNP & UPFA scratching each others backs. The 19th Amendment Bill contains many provisions aimed to limit the presidential powers to prevent dictatorship and nepotism, bring proper accountability and checks on corruption and ensure that the judiciary and civil service doesn’t continue to be politicized. Main political parties (UNP and SLFP) decided to put aside differences and come together to form a national government, to sort out the problems caused by the Rajapaksa regime.” a constitutional lawyer told Colombo Telegraph. If this scenario unfolds and become the Law of the Country in the future, then the Corrupt Uneducated will have no place in Politics, especially the Rajapaksas. Only the Honest Politicians will have a place. Now who is fighting against such a Bill? Hadi Sheriff, you said it right. It is the UNP and UPFA scratching each other’s back and fooling the masses. “Good Governance” left the shores of this country soon after 1948. This country needs a more pragmatic leaders who do not have a BLOATED ego. Not leaders who can shoot fishermen when they enter Sri Lankan waters willfully or accidentally. Leaders who induct every joker as a Minister at will is no different from the old regime, isn’t it? Sri Lanka is a Great country with lousy leaders, unfortunately. CT is again at its best in its hideous campaign to discredit the former government. I cannot recall CT ever quietening the probity of ex-president Chandrika Bandaranayake who was found guilty of corruption by supreme court during her tenure as president not so long ago. May be because she has now become a bosom pal of Ranil. Don’t show your ignorance publicly , mate ! CBK had left office in 2005 and CT started way after her tenure , so if you want to attack CT , try some thing more credible . India never even thought of stooping that low- remember Hinduja case- pay taxes or be dammed to the UK. Rajapass was after her because the funding from her women in the UK was disastrous to him not the tiger menace of refugees. If the mayor could have let him for Queens jubilee then why not Oxford??? Basil was appointed by Gamini Dissanayake-Minister of Mahaweli then,as one of his many Co-ordinating Secretaries. That was in the early 80s! Interestingly,Gaminis son Navin at an election meeting announced that Rs;10,000 would have been a fortune to Basil when he was working for Gamini Dissanayake! When he fled the country on 11th Jan 2015 what would have been his Fortune? Basil was the crook; Mahinda was the criminal and Gota was the Psychopath!